Dark Reading's Robert Lemos caught up with our CEO Joe Siegrist this week for his article about the state of SMB password security, highlighting the need for companies to provide tools that allow employees to more easily abide by good password policies. Passwords are still the weak link. Businesses should adopt a central system to analyze where they're at with password security. "Without such a system, companies will be blind as to the degree of risk they have," says Siegrist. Put tools in place that will not only remind employees to employ better security practices, but allow them to do so painlessly - such as with a system like LastPass Enterprise. Vudu acknowledges security breach << The popular video streaming service Vudu acknowledged the theft of customer data, including usernames and encrypted passwords. If you haven't already, update your account password, and any accounts that shared the same one. Outlook.com may soon be as secure as Gmail << Microsoft announced two-factor authentication for Outlook.com (the new Hotmail). After it's enabled, a user will input a code generated in the Authenticator app, in addition to the account password (much like Google Authenticator). The app is already available in the Windows Store, and LastPass supports it on Windows 8 devices. Major Bitcoin exchanges hit with cyberattacks << If you haven't been following it, the situation with Bitcoin and Mt. Gox has been volatile in the last few days. According to all recent reports, though, usernames and passwords have not been affected. LastPass gets 4 mice from Macworld! << Marco Tabini reviewed LastPass, declaring it "a solution that is ideal for users who want increased security with minimal effort." The cellphone turned 40 recently! The first cellphone prototype weighed more than 2 pounds, measured 9 inches long, took 10 hours to charge, and offered 30 minutes of talk time. 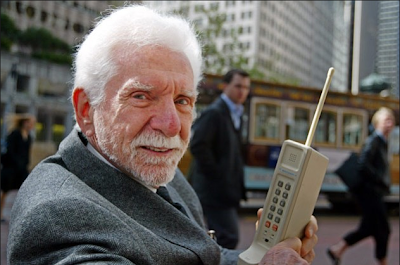 For a blast from the past, check out BusinessWeek's recap of the history of the cellphone. 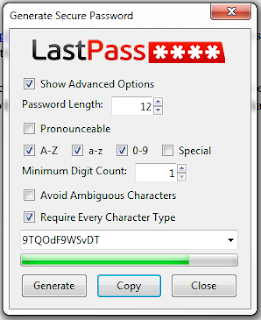 Whether you're new to LastPass or a seasoned password manager user, the LastPass password generator remains one of the most effective tools in securing your online accounts. So how can you ensure you're getting the most out of this feature? 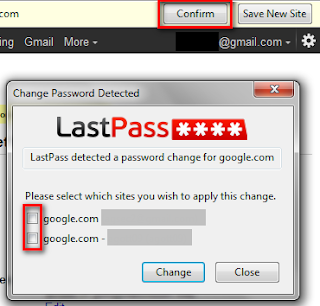 The LastPass Security Check, located in the "Tools" menu in your LastPass browser addon, provides a comprehensive overview of the strength of your passwords and the number of duplicate passwords lurking in your vault. And now LastPass helps you identify weak and duplicate passwords as you're logging into your sites, notifying you immediately so you know you should update that account. But the key to improving your online security is to follow through on generating new passwords for your stored accounts - whether you run the Security Check and commit to updating your passwords at once, or wait for the alerts and update as you go. If you haven't gone through the process before, it's a few simple steps. 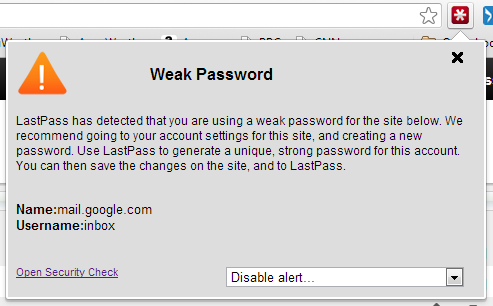 Let's say you want to update your Gmail password. After logging in to the Gmail account, you can navigate to the site's account settings page, where you should see a "change password" option. In most cases, LastPass will recognize that there's a "new password" field, and will prompt you with the "generate" notification, which will allow you to generate a new password. Accepting the password tells LastPass to fill it into the new password fields, and you can submit the account changes on the site. If for some reason LastPass can't detect the password fields, you can click the LastPass Icon and select "Generate Secure Password" from the menu, and copy-paste the generated password to the page. With the changes submitted for the account, LastPass should show a notification asking you to "confirm" the change, or to "save" the change as a new site entry. Choosing "confirm" will allow LastPass to replace the old password with the new, generated password in the site entry in your vault. And that's all there is to it - next time you login to the account, LastPass will fill in the updated password as you're logging in. As you start registering for new sites, LastPass will also show a generate notification, so you'll have unique, strong passwords for all of your accounts moving forward.